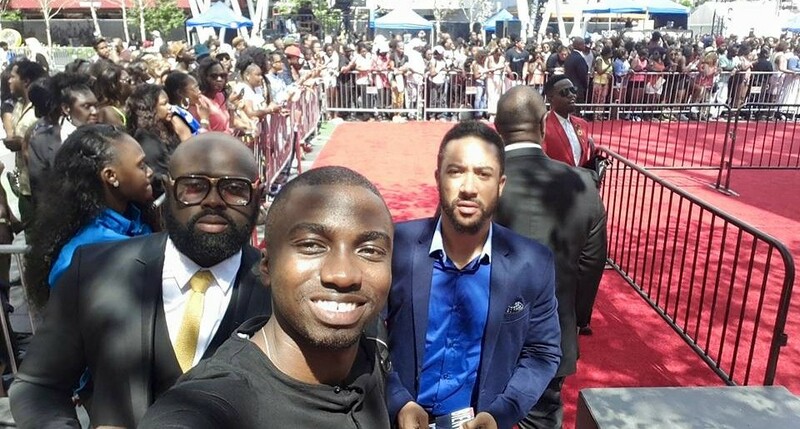 Over the weekedend, Live FM’s Jay Foley covered the prestigious awards ceremony bringing to listeners of the radio station , exclusive reports. “I called him a Rap god. I did. You know why? I will tell you. I stayed glued to my seat and watched every bit of the 2015 BET X. Everything in that room, from the slang/accent to the LEDs and performances was “AMERICA INSPIRED”. It was their culture modernised to perfection. Let me tell you something about the BET. “Its not for Africans”. It wasn’t made for us. It wasn’t designed for Sarkodie, Stonebwoy, DBlack, Samini, 4×4 etc… no no no. Don’t get it twisted. It wasn’t crafted with us in mind. You want the truth? Be ready for it because it will hurt. AFRICA IS NOT FOR BET. Everything that happened in that room is ONLY for the American. And to be American (not the green card American) means you have come to understand the PRIDE, EGO, PATROITISM that the American holds deep inside their souls n hearts. Be honest with me my fellow Africans, Do You Believe in AFRICA? I bet i got you laughing… lol. Nope we don’t. If we did, we will not be at the BET.. i told you the truth hurts.. didnt I? Understand this im about to say with regards to the BET. I watched closely as i hanged out with Stonebwoy and Sarkodie and realised there were just about 7 people from BET who just gave us attention during this whole week. They worked effortlessly around the clock just dying to make a statement to BET INTERNATIONAL that, RAP which is Rhythmic African Peotry is an African art so give these talents like Fally Ipupa, Sauti Sol, Sarkodie etc… a chance to prove to the world that, RAP is Africa. It was at that moment that Stonebwoy and Sarkodie proved to the few people who were seated at the Grammy Museum that, regardless of the language, these kats can redeem and win back the rights as owners of Rap Music. America has taken our music and refined it. Do you even know what it will take to win this back and also organise our own BET AWARDS? 3. The whole showbiz industry to change. (Do you know how the Americans scream when they see Kim Kardashian? Lol wld u scream same when u see me or Yvonne Neslon?) Naaaa.. ud hate and hurl negative statements. Lol i lie…? 4. It will take Ghanaians and Africans to change completely our mindset. The people need to BELIEVE. To get nominations from Africa, and with the full support of every African. Bear in mind that if it were football, like we wldve flown 4000 Ghanaians with accommodation and per diem to go and watch….. but on nooooo.. when it comes to music, it was only stonebuoy, Sarkodie, Jay Foley, Terry, Dj Mensah, Majid and John dumelo who were there. Just about 8 of us. Only. Do you expect BET INTERNATIONAL to even respect us? Lol smh. In business, numbers mean everything. How will BET also make money and function as an organisation. Lol do u think they will buy tickets for all these African Artistes and pay their hotels for free to come and just chop awards and go? Im sorry friends but not even I wld do that. Do you have any idea how much money was spent on me to get to Los ANGELES California? Lol MY EIB BOSSES. THANKS. Im sure if BET counted 5000 Ghanaians at the staple centre, they wldve given Stonebwoys awards during the event in front of the live audience. And YES they wldve moved the event to Ghana for it to happen here as well.. and YES… u will see our local superstars like Mz Vee n co sit next to Nikki Minaj and the likes.. then we can say, we have brought the BET AWARDS back home. But until then… let’s support our gods who work so hard to fight this battle to gain international attention so that when the world asks where they came from then they can point to the map and say Ghana. The award is given on the main stage and inserted into the main LIVE TRANSMISSION. BET AWARDS is a TV awards show. When u sit in the main event, its rather boring. Trust me. Ask DJ MENSAH. He will tell u. So many commercial breaks and all. Until somebody sponsors that BEST INTERNATIONAL AFRICAN ACT CATEGORY, please forget about anything more than what you see and hear. 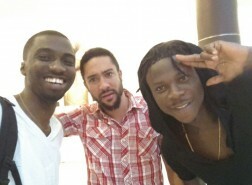 Sarkodie (the rap god) and Stonebwoy have proven to be soldiers. Ghanaian musicians i applaud all of you. Shatta Wale your message congratulating Stonebwoy is a bold step to show support. 4×4 your messages and posts on social media goes a long way to show how much you support good music. And to all others who did same. Once again, for Sark to rap in twi and have people from different countries stand up and applaud him, and for Ace Hood to wrk with him and all…… Ghana, end the hatred now. Ermmm Black Prophet i see u… well done. Sarkodie and Stonebwoy. Well done. 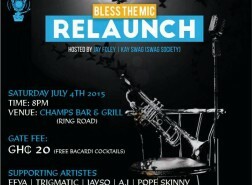 My name is Jay Foley. 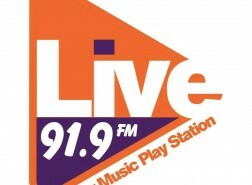 I work with LIVE 91.9fm. 4syte TV and I run 2131clubs. 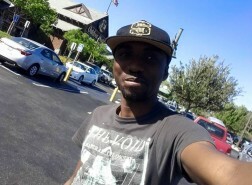 Im not a blogger but a desperate young man who wants to make a change in African Showbiz.